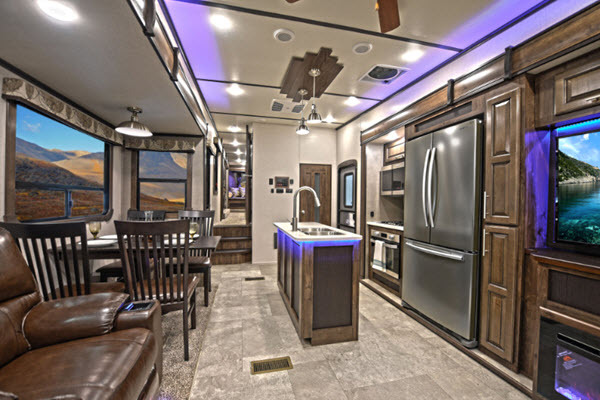 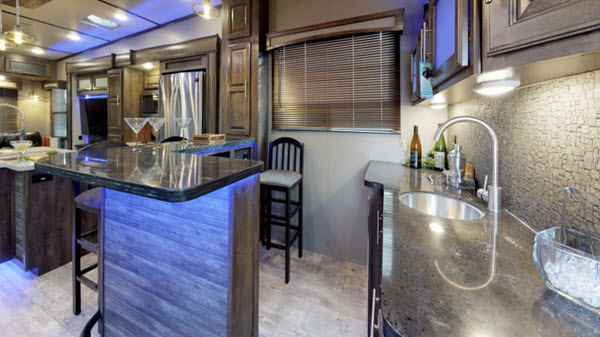 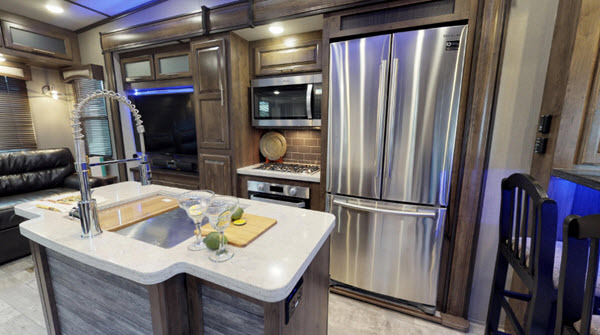 The Cameo brand has been providing full-time RVers a quality built, durable, and stylish RV that features elegance and at-home luxuries throughout a variety of fifth wheel models for years. 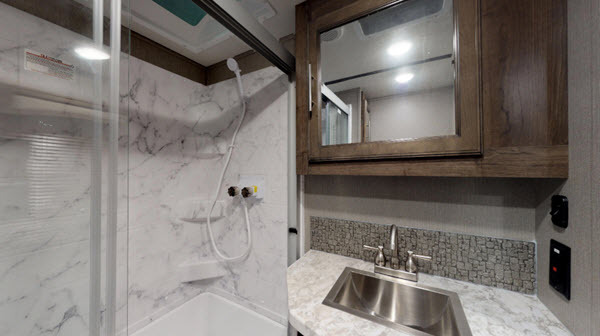 Each unit is created with the customer in mind so that you have peace of mind knowing that you will be as comfortable away from your home in any new location you choose for a week or even longer. 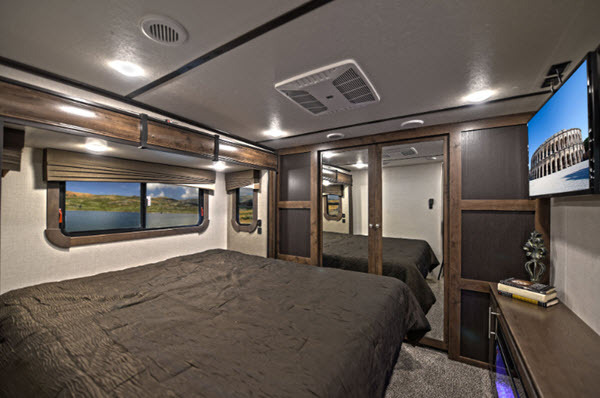 With its industry-first front windshield and dual opposing slides in the bedroom, the master bedroom suite will allow you a place to relax and enjoy a restful night's sleep. 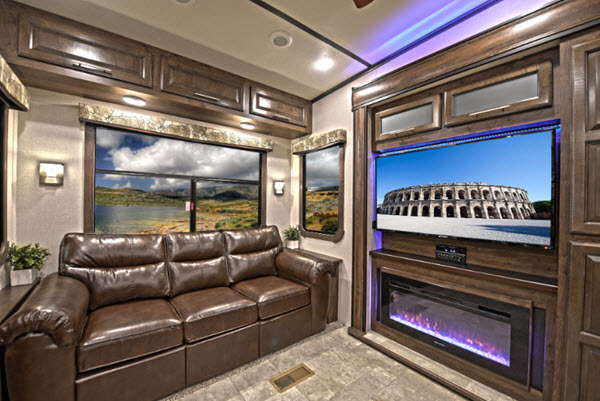 In the main living space you will find large HD TV's, full size theater seating, and oversized pantries so you can stock up before leaving the driveway! 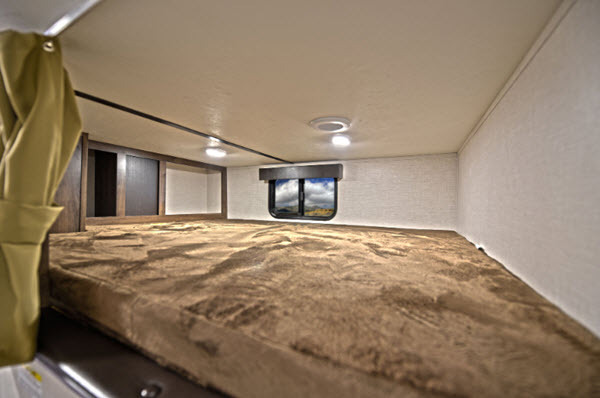 You will even find a fireplace in the bedroom in select models! 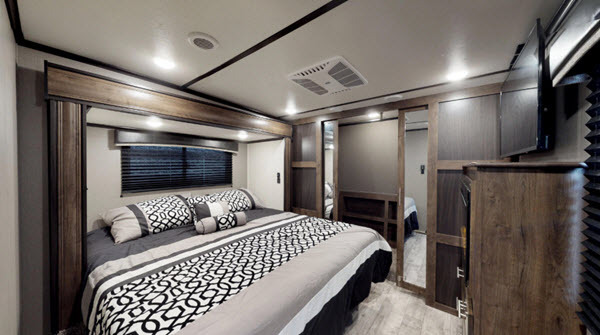 Because craftsmanship and quality are just as important on the construction of the Cameo as in the interior, you will find a great deal of attention has gone into this area as well. 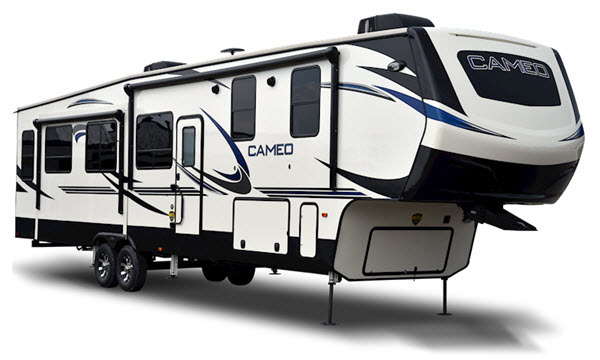 The Cameo features the largest I-beam chassis in the industry plus aluminum construction and steel trusses. 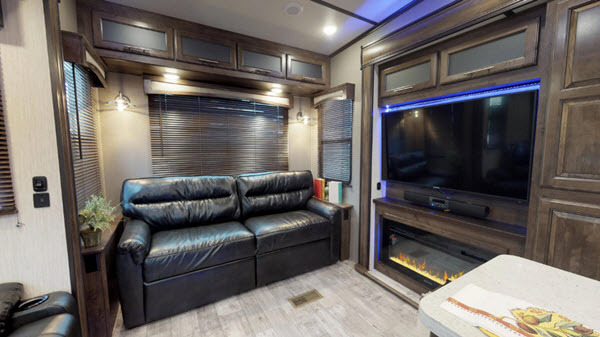 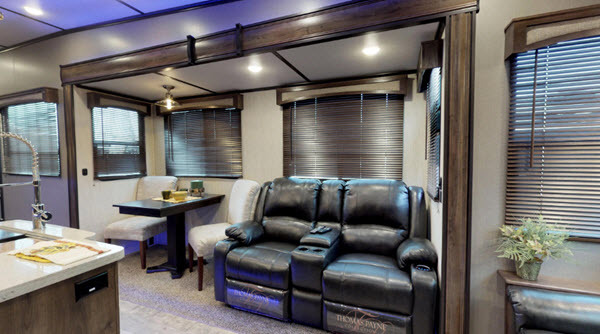 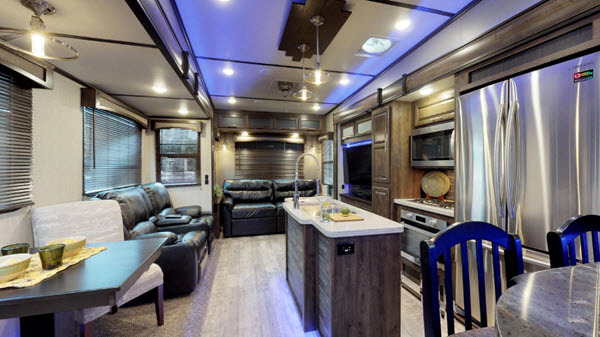 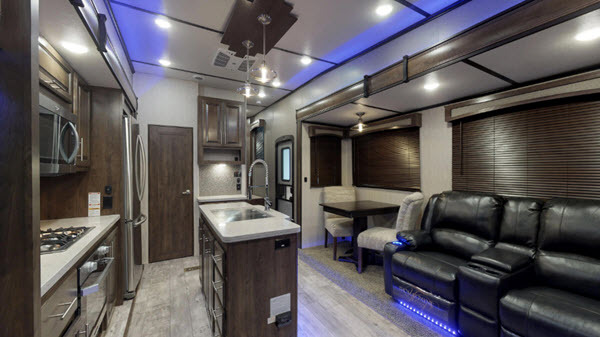 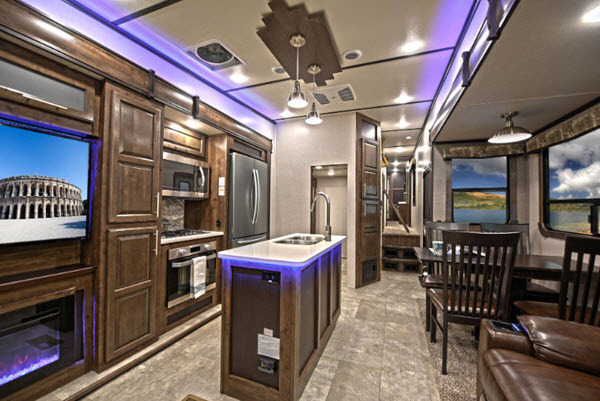 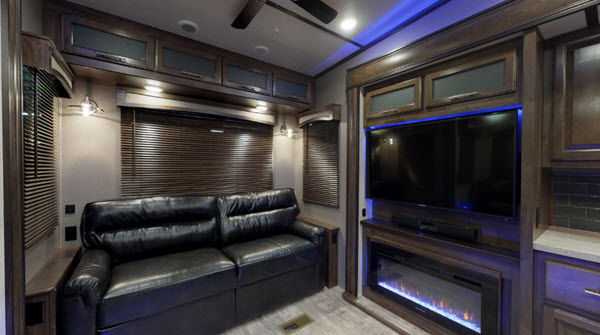 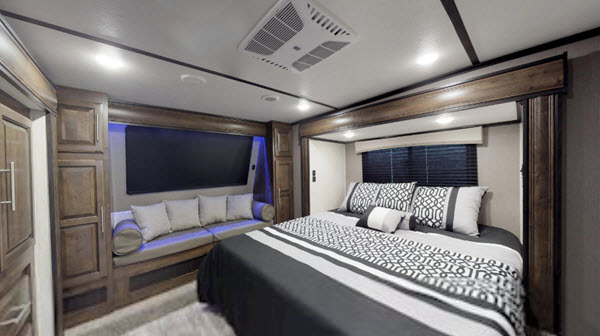 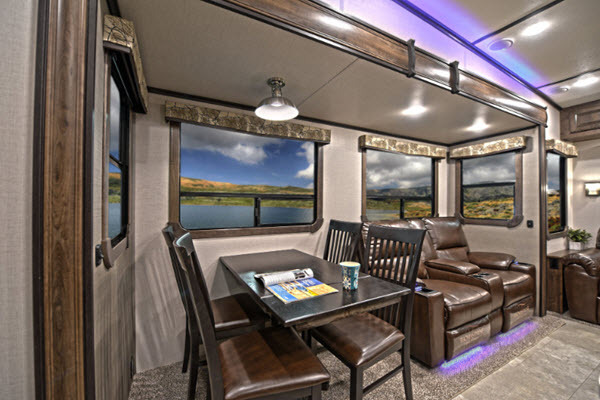 With a heated and enclosed underbelly, as well as residential insulation with reflective foil for your comfort, you can be assured that each Cameo by CrossRoads RV is a true 4-season coach. 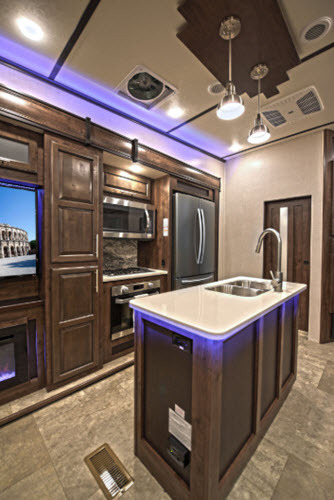 Come make your selection today and enjoy a whole lot of "at-home" features in any location you choose, any season of the year!